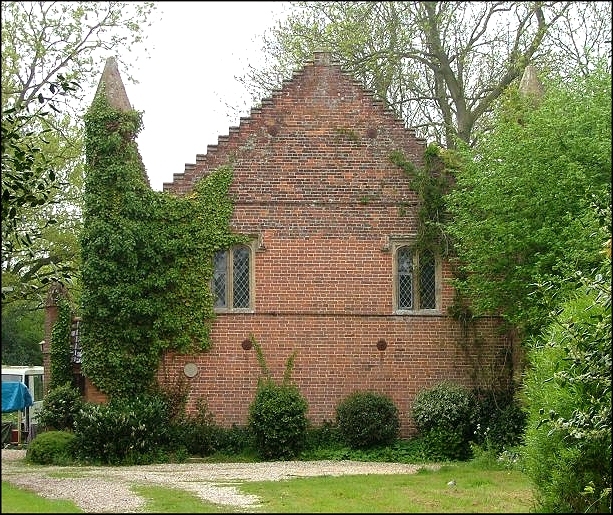 For almost every medieval church in Norfolk, there is a non-conformist chapel up the street to which the parishioners went off in various kinds of theological huff throughout the 17th, 18th and 19th centuries. 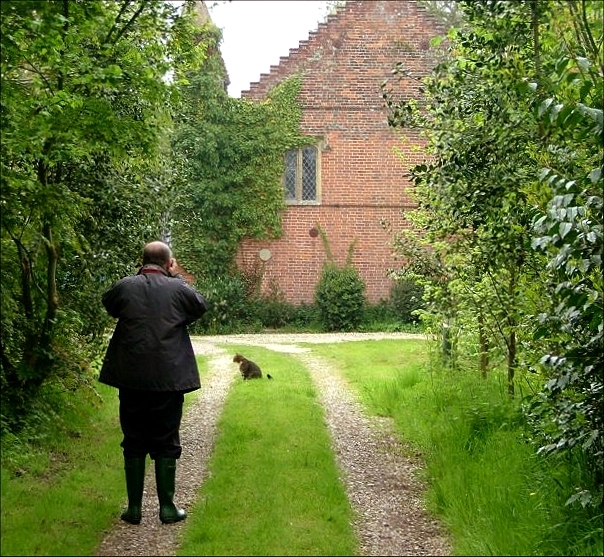 At the time of the Census of Religious Observance in 1851, most village chapels had larger congregations than the local Church of England parish church, and it is not always remembered that one of the results of the Oxford Movement was the relocation of the parish church at the centre of people's imaginations and lives. By the 20th century, most English people, including those who didn't attend church at all, would think of themselves as 'C of E', a situation that persisted into the last twenty years or so. Because most non-conformist chapels, especially the earlier ones, were built without rich patronage, many are simple - indeed, many have not survived at all. 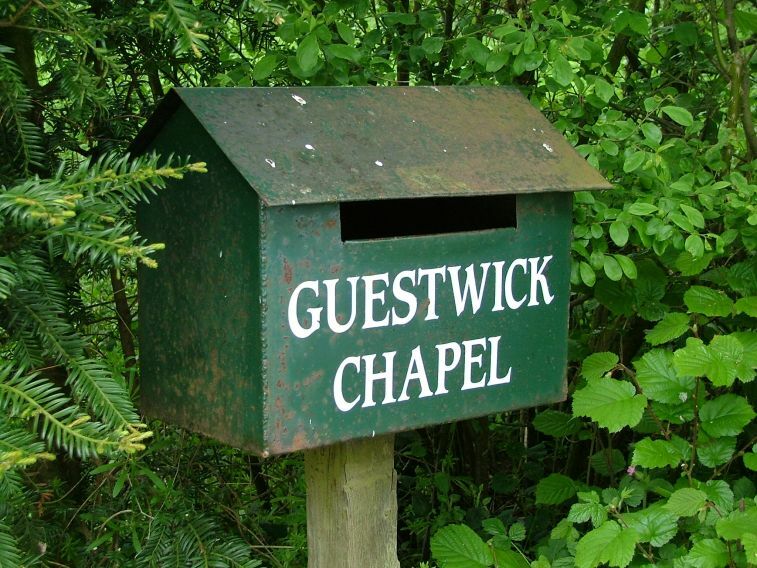 There was a Congregational community here in Guestwick in the early 17th century, and Pevsner records a timber-framed chapel built in 1625, which would be an extraordinarily rare survival today. 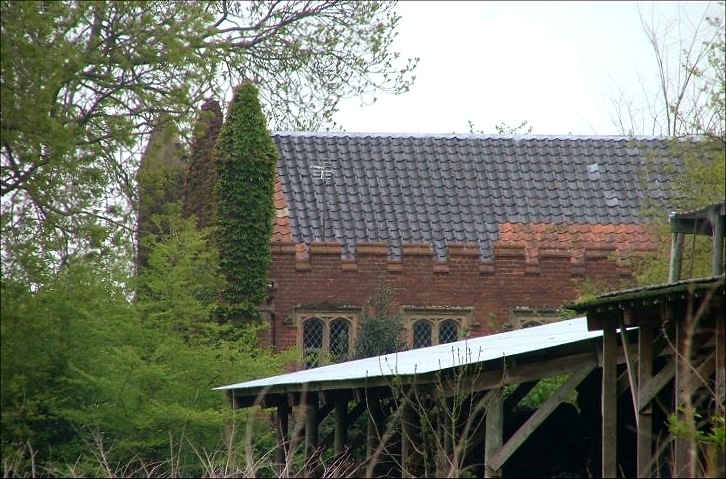 However, the community seem to have come into some money in the 1840s, and they knocked down the old chapel and built themselves this grand red-brick edifice, a church with stepped gables at each end and four minaret-like pinnacles, now covered in ivy. Pevsner describes it as being in the style of a grand Elizabethan barn, but I think there are a number of ecclesiological features that make it an exciting find from the 1840s. Indeed, there is something of the air of a college chapel about it. Today, of course, the Congregationalists are gone, and this is now a private house. We walked up the drive and shouted hello, but nobody seemed to be about. A plump grey and white cat watched us lazily, but couldn't say anything of course; and so we took the photos of the east end without permission - I do hope the owners won't mind. It is such a lovely building, and I am sure that they must be proud of it.